Diet: Omnivore; insects, meat, vegetation, nuts, berries etc. 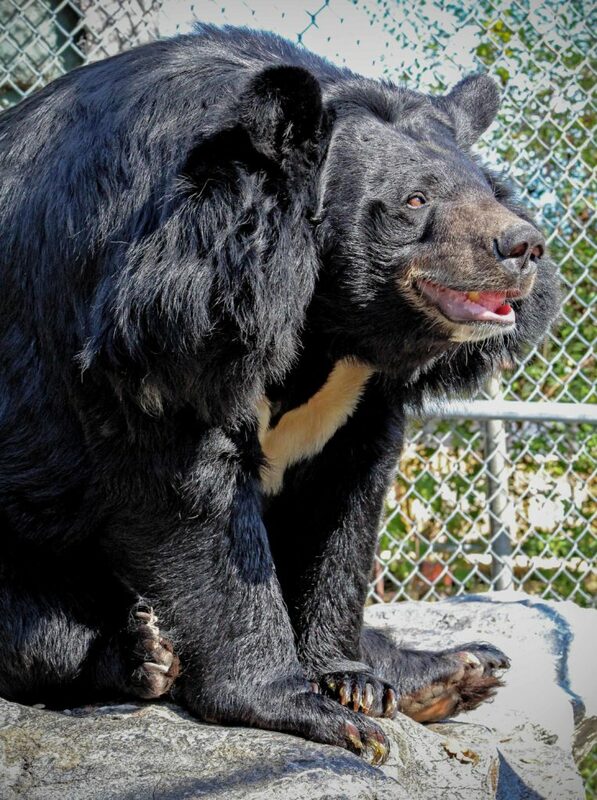 The Asian black bear is a medium sized bear largely adapted to arboreal life. They may spend half their life in the trees, although older adults may become to heavy to climb. The asian black bear will not hibernate over most of it’s range but all pregnant females and bears in the more northern regions usually do. These bears are considered quite intelligent and have outstanding learning ability in captivity. Tigers will occasionally prey on Asian black bears, but the largest threat to bear populations is deforestation and poaching for body parts.